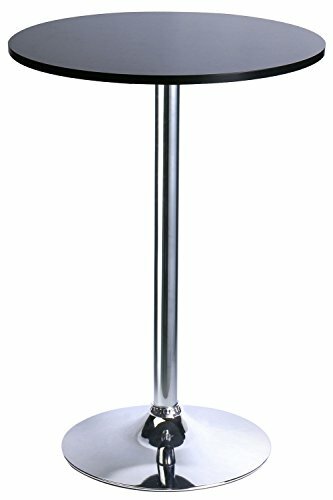 The round top bar table is made by MDF,the thickness is 0.70 inch.Stylish Pub Table With Silver Leg and Base,not adjustable,height 41 inches.Only use indoor with hard wood or tilt floors. 【Applicable Environment】Only use indoor with hard wood or tilt floors. If you have any questions about this product by Leopard Outdoor Products, contact us by completing and submitting the form below. If you are looking for a specif part number, please include it with your message.